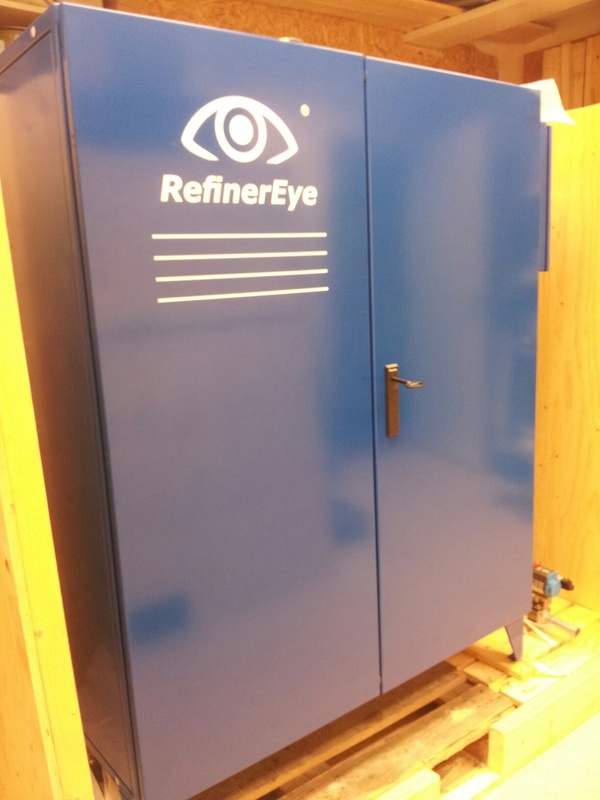 RefinerEye is a ground-breaking technology for sampling and disintegration of samples directly from the refiner blowline. High concentration pulp samples with consistency levels of minimum 35 % are automatically taken from the blow line right after refiners. Samples taken from the refiner blowline improves refining control as there are no white water effects on the samples. The sampling is robust and constructed in a way that prevents plugging. Manual samples can be fed into the RefinerEye. The fibre latency is removed as the sample is kept in a container for two minutes before the sample reaches the PulpEye analysers. Handles samples with high fibre concentration. Latency removed which provides reliable analysis results. Possibility to run manual samples. No white water effecting analysis results.